The Dutch Embassy, nestled in the woods of Rock Creek Park in the heart of Washington, D.C., welcomed guests with smiles and windmill cookies on Monday, November 19th. The audience was unusual for an embassy affair. In fact, Ambassador Henne Schuwer noted that the mini-symposium on ‘Swimways and Water Management in the 21st Century’ was an unprecedented event. It was an afternoon of firsts. Coordinated by the World Fish Migration Foundation and the Dutch Embassy, the session began with a song, ‘We have to move on’ and concluded with the sneak preview of the documentary ‘World Fish Migration Day 2018.’ In between, was a series of informative and entertaining presentations and discussions on connecting fish, rivers, and people. World Fish Migration Day is a global event held every two years to celebrate migratory fishes and free-flowing rivers, raise awareness of their importance, and inspire conservation, restoration, and protection of river systems. 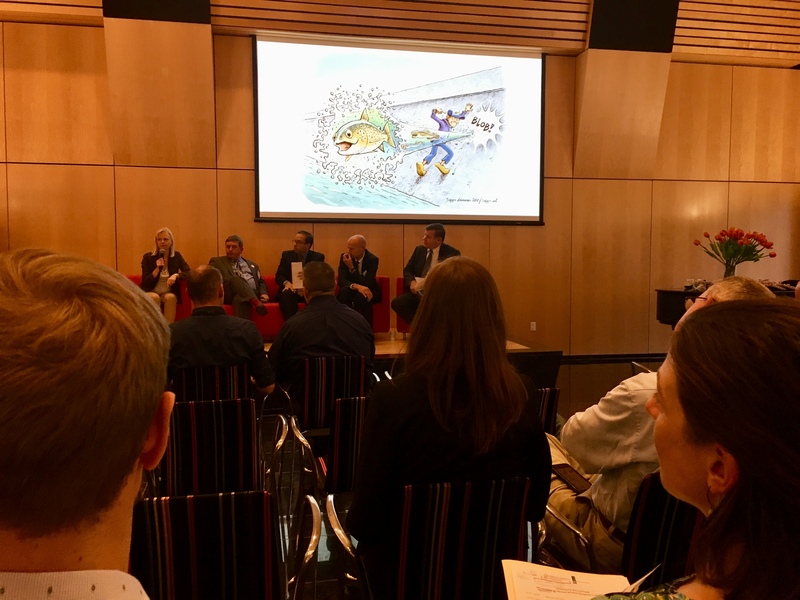 The most recent event was held this past April (with 570 coordinated events held worldwide; also highlighted on the Fisheries Blog) and registration has recently opened for the next event, May 16, 2020. 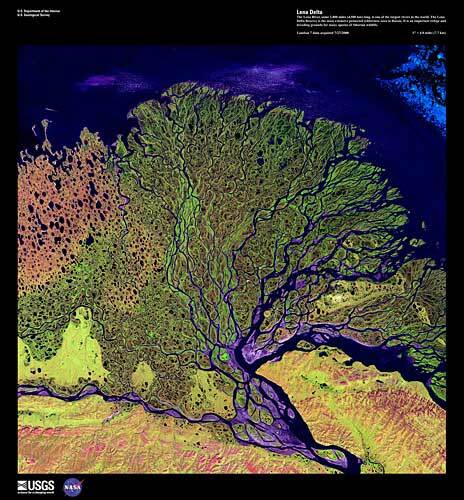 Rivers as vascular systems of the earth (image credit: USGS / NASA). One of the most poignant analogies for me from the afternoon was thinking of rivers as the vascular system of the earth. Like a clogged artery in you or me can cause a heart attack or stroke, a blockage in a river can have significant ecological, social, and economic consequences. These systems function best without barriers. Yet, many people have a nostalgic attachment to dams and recreation in reservoirs. They are a part of their cultural identity – a presence as long as they can remember. But, in many places, they are no longer serving their original purpose. In the U.S. alone, American Rivers estimates that there are 90,000 dams and many are obsolete. Restoring free-flowing rivers is no trivial expense but the U.S. Fish & Wildlife Service’s Fish Passage Program FWS fish passage and the National Oceanic and Atmospheric Administration’s Restoration Center are fostering grass-roots and larger-scale efforts to rehabilitate these systems. The Penobscot River Restoration Project is one highly successful example. Before two dams were removed and one was bypassed, something like 1,000 migratory fish were found in the river; after, around 2.8 million have been recorded. In other areas of the world, where more dams are in planning rather than planned removal, a little investment at the proposal stage can reduce long-term impacts and long-term costs. The Nature Conservancy, for example, is working on “hydropower by design” to provide energy services but minimize the social and environmental consequences. Rapidly improving advancements in solar and wind systems can take pressure of hydropower to meet the world’s growing energy demands with renewable options. A preview of World Wildlife Fund’s Free Rivers app (image credit: WWF). In some cases already, solar and wind can provide more efficient energy than hydropower because of the extensive (and costly) infrastructure to build a dam and maintain the energy grid. 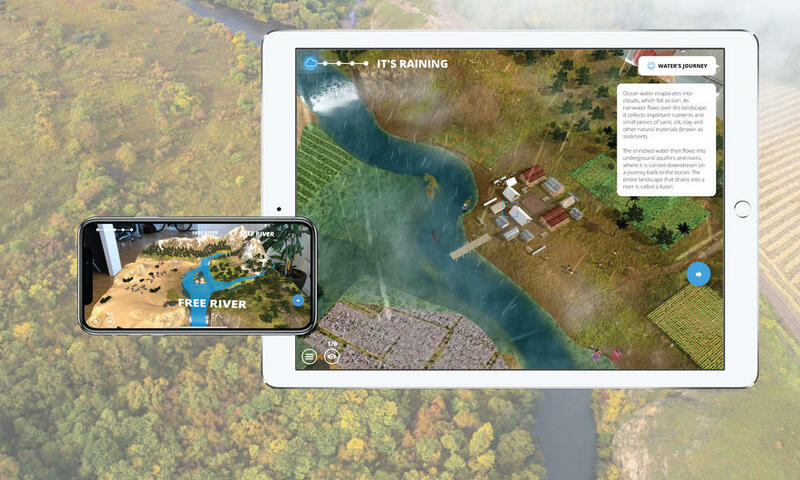 In the World Wildlife Fund’s Free Rivers app (an augmented reality app), you can explore how people and wildlife depend on free-flowing rivers and even evaluate the consequences of multiple energy options within a riverscape. Such tools can help decision makers evaluate the most appropriate option for their communities prior to making socially, economically, and ecologically impactful decisions. Moving forward, connecting fish, rivers, and people is the mission of the World Fish Migration Foundation. Many other organizations share this vision for free-flowing rivers. World Fish Migration Day on May 16, 2020 will be one chance to celebrate #happyfish together on a global stage, but there will be many other opportunities to share, inspire, support, and connect for this cause between now and then as well! If you’d like to receive the latest updates on events and other news related to World Fish Migration Day, please visit www.worldfishmigrationday.com to sign up for the distribution list. You can watch the trailer for the World Fish Migration Day Documentary here. The rivers and associated fish fauna are the most vulnerable ecosystem types in the world. Developing countries like India are building up dams while US is now removing dams. It is the poor and developing countries which are most at the receiving end in terms of loss of biodiversity. Due to building of large number of dams to generate electricity the fish population has reduced very much. Thank you all for the positive comments. 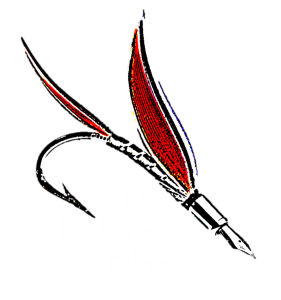 We appreciate your interest in the Fisheries Blog!